So I have not been the greatest on posting on Facebook or giving updates or posting here on our blog site so that all of you can see what the Lord is doing! I apologize for this! I really have no excuse I guess other than business and we are all busy! I need to allot my time better somehow and work on getting things posted and updated. I’ve just been bad about this! Please forgive me! I’m trying to get back on track! I wanted however to update ya’ll on my family and on Jeff’s. We wanted to send out how much we are grateful for God giving us such wonderful friends in all of ya’ll! What a blessing! I hope that you will read the post below! Thank you so very much to each and every one of you for your prayers and thoughts were felt very strongly during the passing of my Maw Maw! We are so grateful for your words of encouragement and love that you shared!! The funeral service lasted almost two hours and was filled with praise and glory given to the Lord and how wonderfully that He used my Maw Maw during her years here! Truly a blessed service! I wanted to share also that if you could remember Jeff’s family also right now in your prayers! Twelve days after my Maw Maw passed he just lost his granny, Bessie Jones! She was 97. Our trip to the DR had to be postponed so we are still in the States and headed to Mississippi tomorrow for the funeral service there! We are grateful that we were still here and had not left for the DR! Praising God even more that Southwest Airlines gave us a full refund on our airline tickets and we have already booked another flight back to the DR on February 9th with only a little extra cost on the tickets. We have felt God all over this! He has orchestrated our every step. We were scheduled to be in Mississippi the weekend that my Maw Maw passed and had to cancel Jeff getting to spend time with his family. Now we are making that trip and he will get to see all of his siblings and spend time with them! Yet another praise! We will be returning to the Dominican Republic on Tuesday, February 9th. When we get back we will be setting up house at the Rescue Base/Mission house that God has provided for us! Currently, there is no water or gas, the house has not been cleaned or prepped for our arrival, the grass and grounds have not been kept so as you can see we will have a lot to keep us on our toes. We have been trying to get all of this accomplished from the States, but when we return hopefully we can get the ball rolling. I wanted to include some pics of our family with our grandmothers! This entry was posted in Uncategorized on January 26, 2016 by wetransform365. What’s happening in the Dominican Republic?? I wanted to give everyone a quick family and ministry update! We would love to have your prayer support on the following areas as God continues to move and direct us here in the Dominican Republic! #1 – find a rental home here in Santiago, Dominican Republic! We have been looking for a place to call home for the past three months. We started at first by just going to different neighborhoods in Santiago and learning the areas. We are now in full swing with two Real Estate Agents looking to help us find a home to start life and ministry here in the DR! Please pray that we find a home within the next month. #2 – we are looking for items to furnish the home that we rent that aren’t super expensive. Everything is very expensive here as it has to be imported. Pray that God will open doors for us to buy things 2nd hand or find ways to save money. 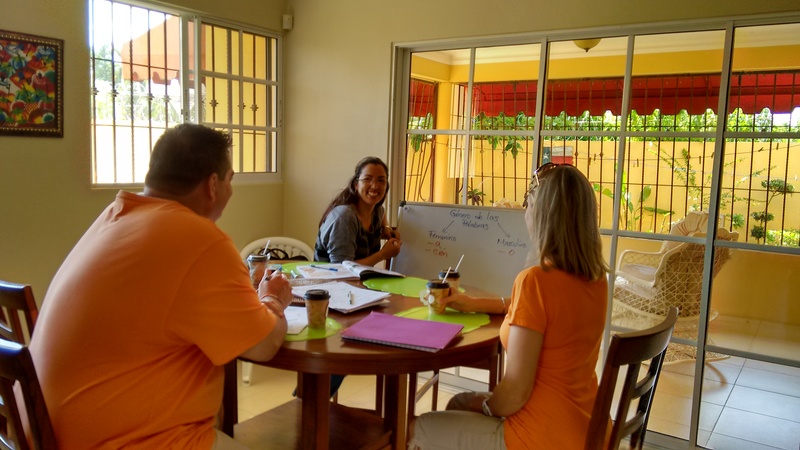 #3 – Spanish Class – we are in full-time language school being taught by Kendy our personal tutor. She comes to our home 4 times a week and teaches us Spanish for a total of 8-9 hours per week. In addition to that, the twins are studying Spanish under Hillary twice a week. Please pray that we understand and can begin to speak some Spanish to those around us!! #4 – Residency Visa – We currently have our one year business visa in country, but will have to secure our Residency Visa before June of 2016. Otherwise, there will be penalties for us as missionaries when we leave the country. The fee per person to secure the beginnings of the residency visa is about $1,000 per person per year for the first two years. Yes, you did the math … that is $5,000 per year so that we can live here … $10,000 for two years. It is supposed to be around year 4-5 that the process is finalized. Then it’s on to get your sedula! Needless to say, it is quite financially challenging for us to stay in the country. When we are in the States, we have a lot of work to do to get the information that the Dominican government wants … a new issued birth certificate, fingerprinting from the FBI, and an international background check to see if we have committed international crimes, etc, etc. We know that God will provide for us to get this visa if it is His will! 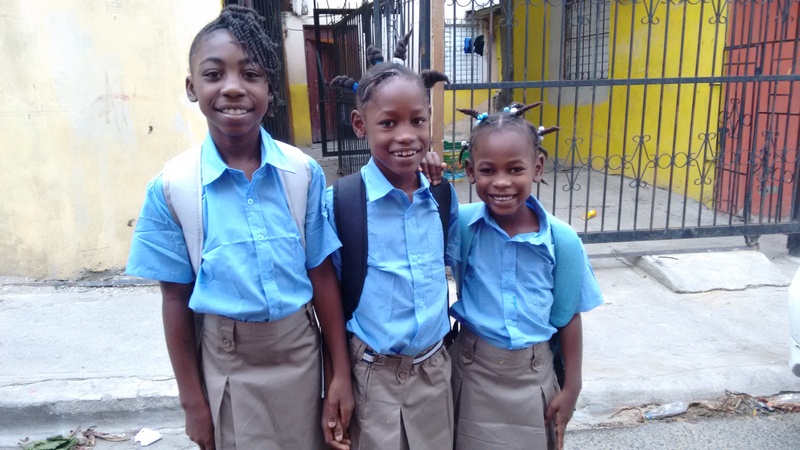 #1 – things are going well with our three precious girls … Bendjina, Fransesca, and Darwine. They are in school and getting fed! Praise the Lord! To give a quick update, Willie their dad, is still looking for work. He has to be on the street corner between 5-6 am every morning looking for work. 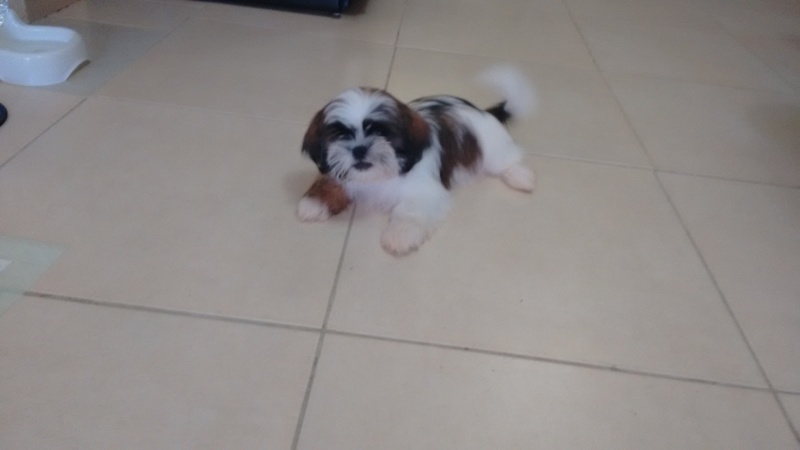 We have been trying to help give him leads, but have not had anything consistent. He obviously needs a consistent job to provide for his girls. 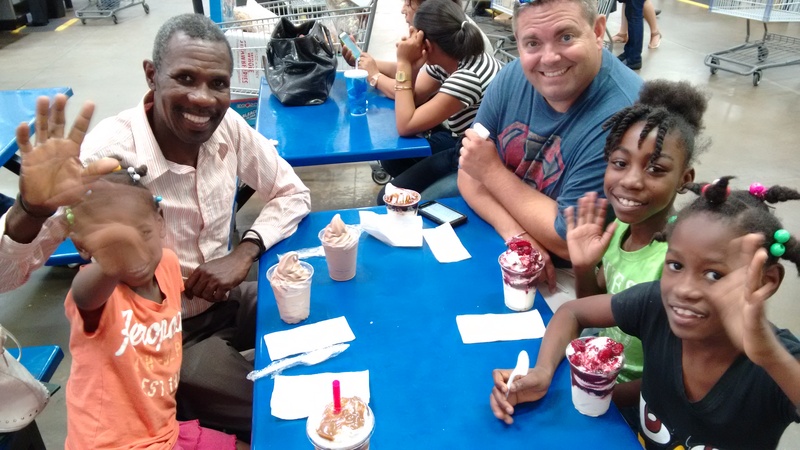 Pray as we continue working with him that the Lord will help us with wisdom on getting this family legal in the Dominican which will open all kinds of doors for Willie for work. Pray also as we look for a home to rent to see if the Lord may be leading us to have them come help us with the ministry and property mgt. providing a need for them with housing and work. Also, Fransesca is struggling in school. Please pray for her to have understanding. #2 – we are praying about how the Lord is leading for another to be added full-time to our Transform staff. We need the Lord’s direction and timing! This person would be our full-time liaison for our ministry working with the children that are sponsored, bringing them food, helping us constantly check on needs and what the next steps should be in their recovery. 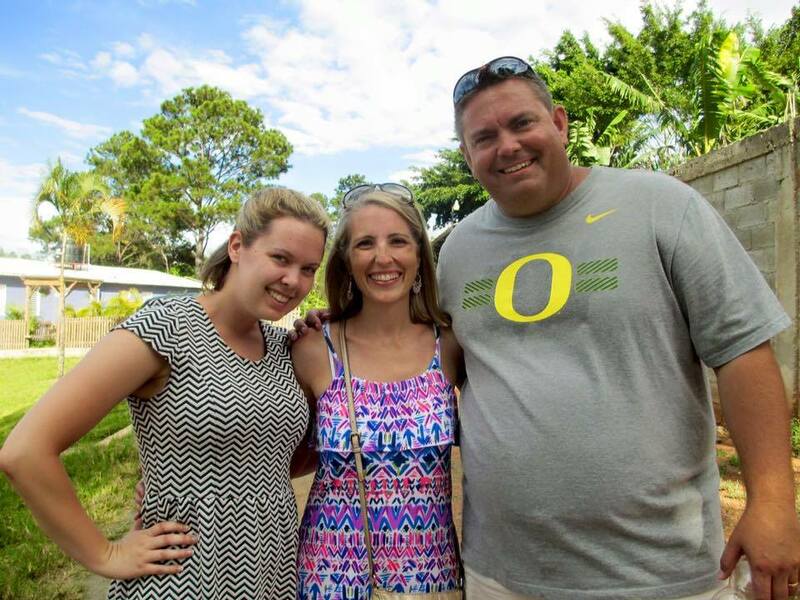 #3 – we are excited about receiving a team from North Carolina the last weekend of this month – October! They will be coming down to survey the construction needs that we have here and what teams they can bring down next summer to do construction. Please pray that God directs all of us to what is most important as the needs are endless! Lol! Pray for direction! #4 – we continue to meet regularly with the feeding center team staff. This has been going well. Each time that the feeding program happens things have improved in the structure and overall working of the flow. The children’s program is going well with new people that help us run the program being added each time. 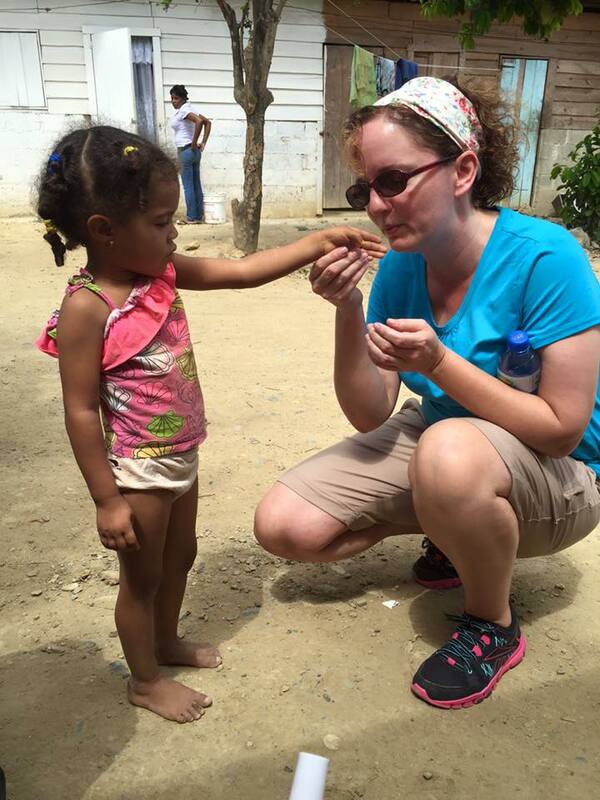 The kids are hearing God’s Word, singing songs, playing games, and receiving food. 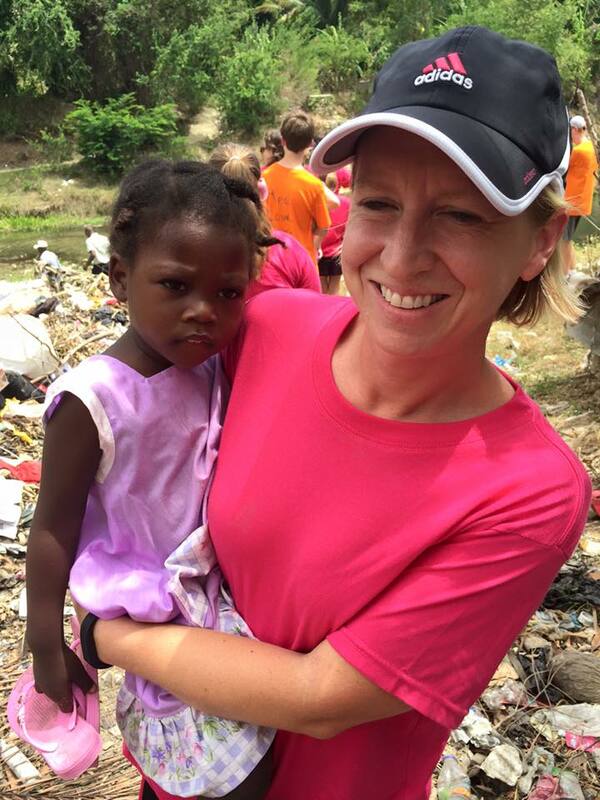 Praise God that they are not only hearing about God’s love but seeing it in action! But God demonstrates His love towards in that while we were yet sinners, Christ died for us! Romans 5:8 Here are a few more verses that illustrate that God’s love is in action!!! Not just verbal … He shows His love to us! Praise the Lord that He has ALL things under control! In His time things will be accomplished. All we are required to do is to OBEY! We are to be His servants! After all, we belong to Him, right? When He is the driver we have nothing to fear!! This entry was posted in Uncategorized on October 15, 2015 by wetransform365. Good Evening to all of our friends and family in the U.S. and around the world!! We wanted to give you all a quick update on how to specifically pray for us here in the Dominican Republic. One of our goals in arriving here this summer was to begin language school as speaking Spanish is vital to our ministry effectiveness. For this reason, many missionaries will take their first year just to learn their new country’s language, and then begin ministry. We know of many missionaries who first go to Costa Rica for their Spanish studies, and then they transition to the Dominican Republic. But we sensed God leading us in a different direction. 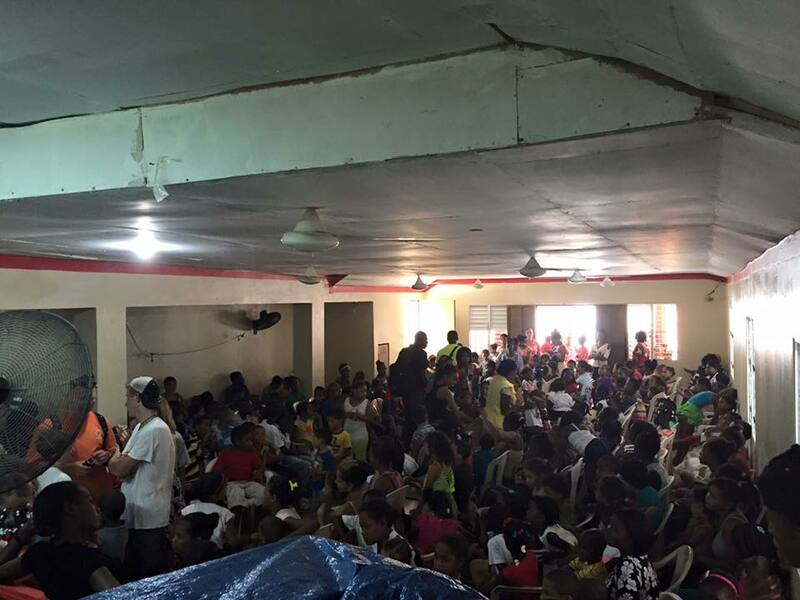 We already had ministry going in our Haitian Immigrant Church in Santiago, DR & knew God wanted us here to study and be available to assist our friends with the feeding center. 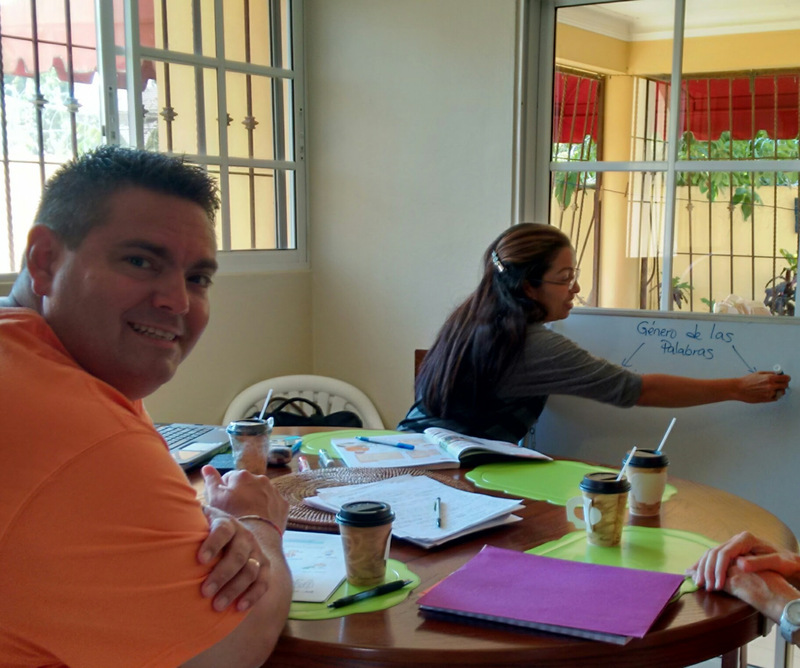 Two years ago, we put a plan in place that, once we arrived, we would begin taking classes from Arelis Garcia, the founder of Isla Language School, and a friend of many missionaries here in Santiago. We reached out to Arelis back in February to confirm the arrangement was still on, and she confirmed her excitement about teaching us. She asked us to reach out to her after we arrived in June, and we could set things up. So after arriving and getting settled, we attempted to connect with Arelis, only to discover that she had passed away from cancer. We were very sad as she had been a huge blessing to many people. So that put language classes on the back burner until we could pray and ask God to help us put together an alternate strategy for learning Spanish. 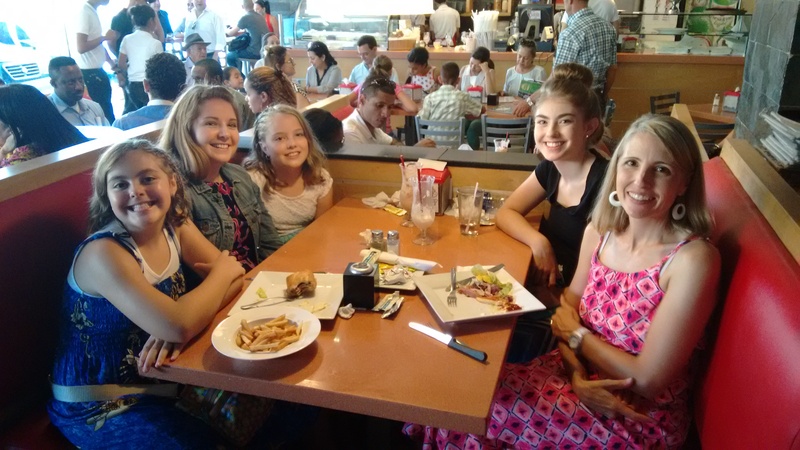 Towards the end of summer, we visited with missionary friends who introduced us to Kendy Martinez, who along with her husband, is involved in a local ministry in the DR. We were also introduced to Hillary, who we were interested in possibly teaching the twins Spanish. So after meeting Kendy and Hillary, God confirmed that they were the ones He had brought into our life to help us with our Spanish lessons! We are now 3 weeks in and are enjoying classes 5 days every week and they are such a great help to us!! We have much to learn, but slowly and surely we are getting there! Pray for us as we continue to process a new way of communicating…we need God’s help to keep things clear and to process all we are being taught. And pray for patience for Kendy and our new Dominican/Haitian friends as we practice our newfound “skills”! Dios, ayuda por favor! 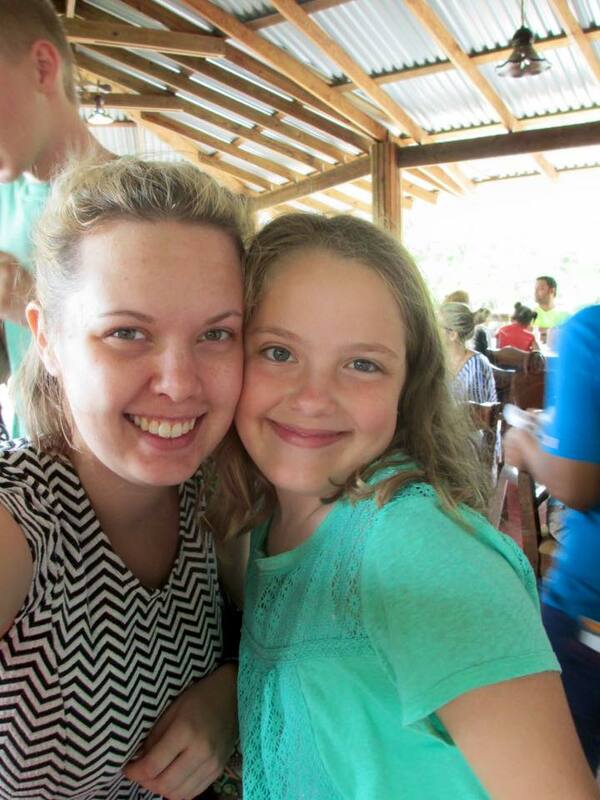 We would also appreciate your prayers as we find balance between doing ministry here, full-time language school, Jill homeschooling the girls and the girls doing full-time language school plus home school, looking for a home, buying furnishings to fill our hope-to-have-soon-to-be-home, and still getting settled in country. It has been a bit overwhelming at times and it has caused us to have to back up and examine our priorities. We CAN’T do ministry without the Lord!! So He is #1 and then ministry can’t happen without learning the language, so we know that has to be #2!!! #3 has to be getting settled. #4 is doing life in the country – home school, etc. So please pray that God shows us where to taper off here or there and that we always make sure that He is first!!! We must keep our eyes on Him and always allow Him to lead. Lastly, today is a national holiday in the DR as they celebrate “Our Lady of Las Mercedes”, who appeared to the native indians here on the island when the Spaniards were invading. She instructed the Indians to kill themselves therefore making the Spanish habitation much easier. Pray that as we learn Spanish, we can use it to share with others the true gospel of Jesus! These people need to know there is hope in Christ! Thanks again for your faithful prayers! This entry was posted in Uncategorized on September 25, 2015 by wetransform365. 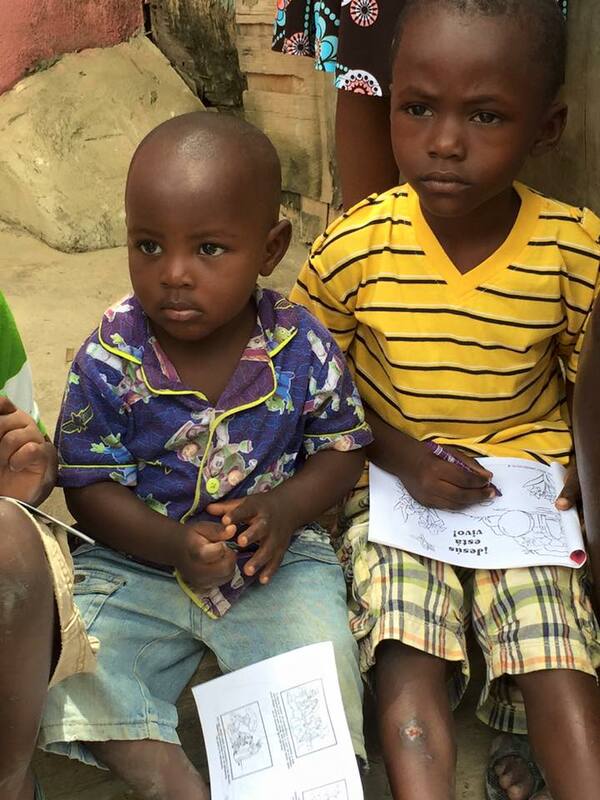 Sponsored Child Update (Bendjina) & a few notes on the Jones family too! We have been very active in getting settled here in the DR. You might think ,”well it’s been three months, you guys must be all selttled in by now”… btw can you believe it’s been three months? I know! Super awesome!! But it takes some time to get settled. Our missionary friends here on the island have been extremely helpful to educate us on the “process” of life here in the DR! Whatever time you think a task will take…triple it. How much money will it cost to accomplish something? Plan for more. (Ex. – it took us one MONTH to open a bank account!! And it will take us 4 months to have an internet service/cell phone service in our own name!!) So as you pray for us…pray for patience as we adjust to the DR way of life, and praise God with us that He’s made it possible for us to live out His calling on our lives as we serve at risk children! We have had many new changes since our last chat. We have added many new members to our family … let’s start with our van! We purchased a 10 year old Toyota Sienna minivan for our family vehicle. We have really enjoyed it so much! Our favorite part of the car is the excellent air conditioning it has. Whew! Boy, does that feel good! The second additions, yes you heard me, plural, to our family our our two new sweet puppies! They were born on June 12 and are almost three months old. So as we were coming to this country, they were being born. We can share new beginnings together! I will post a pic of them below. 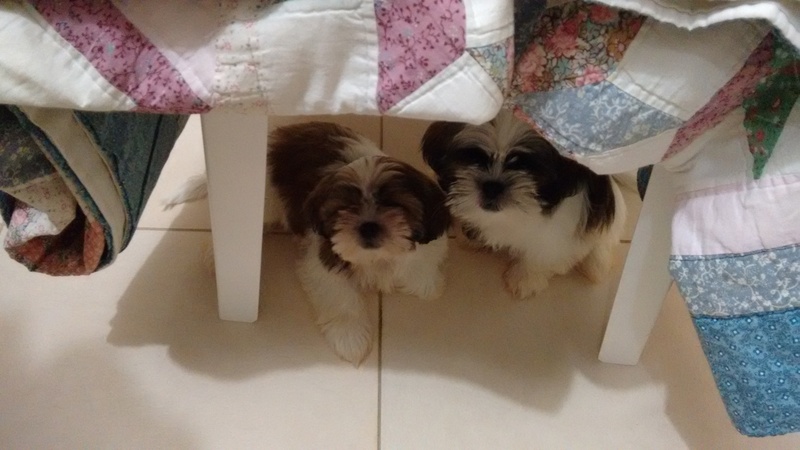 They are Shih Tzu puppies, and their names are Jackson Alexander Jones and Juliet Annabell Jones. We are calling them Jack and Juls! They are super cute! Juls belongs to Jessica and Jack belongs to the twins. No more fussing over doggies. We are also looking into a guard dog for outside. So we will be going from no dogs to three dogs. Wow! Lots of change! We have gotten our Dominican car and health insurance. Now it is multiple trips to the country’s capital, Santo Dominigo, to pay taxes and get a clear title for our van we just purchased. We have added Spanish classes to the list of daily things to do as well! Kendy is doing a great job and we enjoy learning the language knowing that with every class and homework assignment we are steps closer to being able to speak and communicate with those that the Lord has called us to minister!!!! That leads me into those whom God has called us to!! Our sweet precious Bendjina!! Below is information about what has happened in Bendjina’s life because of you and what she still needs. Please check out the information about her. Family Snapshot: Bendjina lives with her step-dad who has so wonderfully taken her in. The girls’ mom passed away and we do not know where Bendjina’s father is. She is the oldest of three girls. She has two younger sisters, Francesca (8) and Darwine (5). We have been trying to get Bendjina enrolled into school for the past several years and were able to do that this school year. Currently, Bendjina is in kindergarten – due to the fact that she has never been to school!! So a nine year old in kindergarten, praise God she is there! Such a miracle that this has happened! They live in a one room shanty with no electricity or running water. They attend church services every Sunday at a Haitian church. She is one of the children that we are helping in the prevention category so that she does not become the next victim in human trafficking due to lack of education, food, and skills. 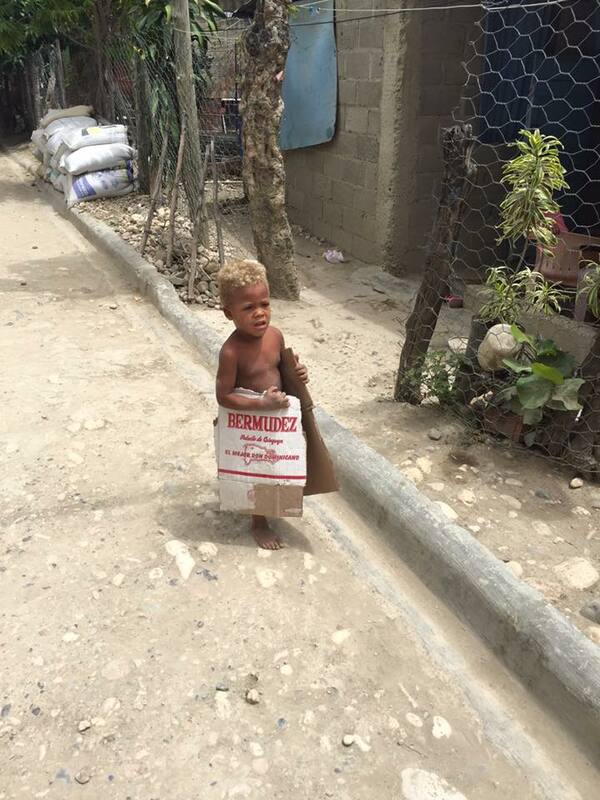 Little by little we are knocking these things out … currently sponsored for food and currently enrolled in school. Praise God! Her step dad (Willie) has experience in construction as well as teaching construction. He works jobs when opportunities present themselves, which are not often. He has had a few day jobs, but nothing consistent. We have been able to get Bendjina and her sisters into school because of your wonderful, generous special gifts given to purchase school uniforms, school shoes and tennis shoes for PE, PE outfit, school supplies, and hygiene items were delivered from a friend in the States and arrived the day that we needed them. That was no coincidence … you can’t tell me that Jesus is not in the details! You know how much it costs us parents in the States to get our kids ready for the new school year. We can spend hundreds of dollars on clothes, shoes, and supplies. Unfortunately, the prices are not any cheaper here. In fact, some things are more expensive because everything has to be imported and shipped over here. So with the special gifts some of you gave we paid for all the things that her and her two sisters needed to get into to school. But as you know, there are still expenses throughout the school year and Bendjina has medical and nutritional needs as well. We also, in faith, hired a 25 year old Haitian girl enrolled in medical school to come each morning for one hour from 6 -7 am and get the girls up, dressed, ready, fed, and walk them to school. We are doing this because the girls lost there mom this past April and her step-dad is trying to work as he can or if he is not working, he is trying to find work. So the girls are on their own in the mornings and most of the time when they come home from school also. The troubles of being a single parent. 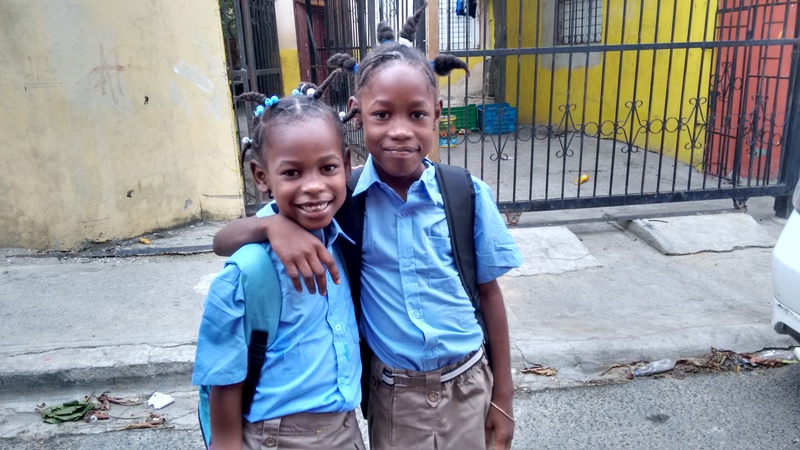 When we asked the girls after the first week of school about getting ready and getting to school, they said they had not eaten all day, they were walking to school by themselves and we noticed their hair was fixed on the first day of school and hadn’t been touched since. So there is a definite need. My heart sank when I heard they were not eating all day long. Now, with the help of the girl we hired, the girls will be getting breakfast, lunch and dinner. But we still need sponsors for Bendjina at Level 2 and Level 3. Level 2 – $50/month – financial needs consist of – monthly school costs, clothing, shelter, and assistant! Level 3 – $25/month – provides for her medical and nutritional needs like vitamins, parasite and deworming meds, and annual check ups or check ups at the doctor as needed. 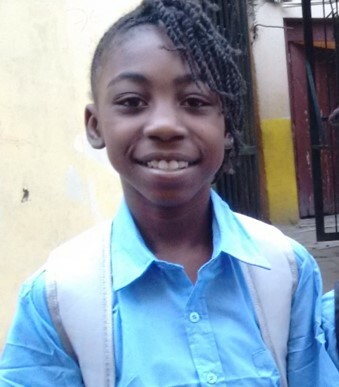 Would you please consider investing in Bendjina’s future by giving her hope of continuing in school and having a roof over her head and receiving medical care? We currently have a food sponsor for Bendjina. This is so exciting to see her get meals on a consistent basis!! Giving on the second and third level financially will provide for her monthly school costs, clothing, shelter, and assistant and provides for her medical and nutritional needs like vitamins, parasite and deworming meds, and annual check ups at the doctor. Also, we have always thought that those who are being helped should participate in their recovery. We believe the Lord shows us this through examples in the Bible and through scripture! We are getting Willie and the girls to participate in their recovery! Willie, will work with our ministry serving with us and the girls doing chores around their house, etc. All teaching them skills while moving them forward! So it’s not that we are just handing out fish, but teaching those to fish. Just like ya’ll send money to support our family as we move forward in getting the ministry to be self supporting. But right now, we need you to support us or we would have to come back to the States. The same for them. They need us to support them while they can become self supporting. That is the goal for all of these children. Not to continue to support the world, but give hope through Jesus Christ where there is none. These options are NOT options without your support to us and to these children. We have so much in America. Even in our poverty we have, but not here! Praise God that we can show the love of Jesus meeting physical needs while we continue to grow them in their love for the Lord discipling them in the Word through children’s programs that we offer in the feeding program and also through the children’s programs that we do in the batey and barrio communities. Thank you so much! We love you guys!! This entry was posted in Uncategorized on September 10, 2015 by wetransform365. know what that is thanks to your generous gifts!! We met another family in a restaurant … we were the only two families in this restaurant, and found out about a Spanish tutor that we were desperately in need of. Also, found out from this family of a possible move that they may make and their home could be available to rent. It seems like a great fit for the start of the rescue base. We have talked to a Dominican family that wants to hire Jessica at their business and they love her. This same family has property not far from Santiago that we could possibly rent and start our first safe house, farming and agriculture endeavors to support the rescue base with food and income. The Lord out of super crazy circumstances via Facebook messenger and emails found a van to purchase!!! 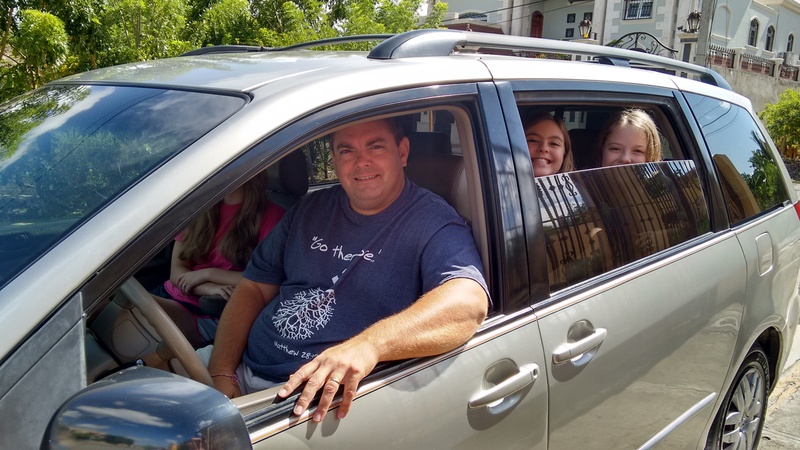 We went looking for a vehicle in one direction and got totally rerouted in another resulting in the purchase of our “new” van or gua gua as the Dominican’s like to call them. It is 10 years old, but with only 75,000 miles on it. It’s in good shape and has become the most recent addition to the Jones family. Our vehicles always become members of the family with names, etc. We are still deciding with a family vote to follow what the name of this van will be. To be announced later. God directed us to a chiropractor here in the DR. I was dealing with my normal migraines and neck issues. We have just started seeing him and hopefully this will be a huge blessing. So far so good!! My last post was about Reagan. She came and stayed with us and helped us learn more about the legal matters of human trafficking here in the DR! We were able to show her what the Lord has laid on our hearts to do here and she is going to helping us with legal matters. She has returned to finish her law degree in the States and also spend some time doing research on prevention, rescues, and prosecution of cases here in the DR. We are getting our feet firmly planted on the ground here and so excited to see each day how God directs. Jeff, the girls, and I feel so honored to be used in this way!! Let me take a moment to elaborate and share some pics with you of the three girls! Last Monday, August 17th was the first day of school. 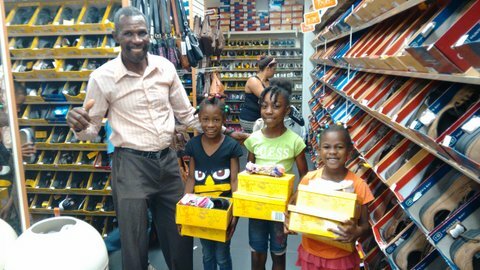 We took the girls shopping for their uniforms and black shoes that they are required to wear for school. We had so much fun taking them shopping. We started out shoe shopping. We bought them one pair of black loafer shoes and one pair of black tennis shoes that are required for PE class. Then bought some socks and off to get a super fun snack of ice cream. This was an occasion to celebrate … getting them enrolled into school for the very first time in their life. To Bendjina and Fransesca, they had been waiting for 3 and 4 years. All three girls are enrolled into kindergarten. Please pray for Bendjina and Fransesca as they are 8 and 9 years old in kindergarten with their little sister who is 5. I pray that no other children tease them or that they don’t feel awkward. Lastly, we headed to La Sirena to buy each of the girls two uniforms a piece. So two light blue collared shirts and two khaki skirts, and a pair of PE pants. We were trying on clothes left and right. I had lots of fun getting them all fixed up with their clothes. We also got each of them a backpack and all their school supplies. We had quite a hefty bill when it was all said and done, but again God has heard that need and answered with some of you reaching out and sending money to help the girls. What a huge blessing and answered prayer!!! I can see why these parents are struggling with no job to provide for their kids there is no hope of them being able to purchase all the items needed to get their kids in school. We figured that the expense just for clothing and shoes was about $100 per child, then you still have school supplies, school fees, backpacks, and activity fees even though public school itself is free. 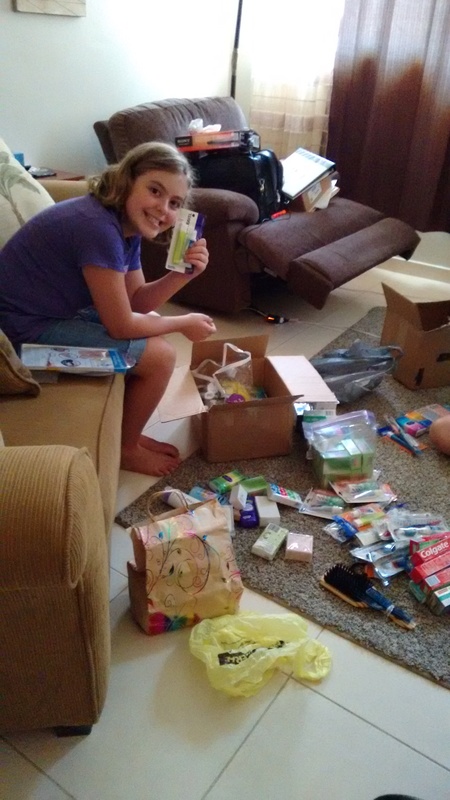 I want to include pics of the girls with all their items and beaming faces. 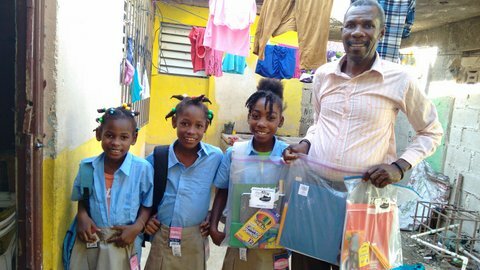 We were also able to provide the girls and their dad with toiletry items that we received the day that we went to purchase all their school stuff. What was that about God’s timing? 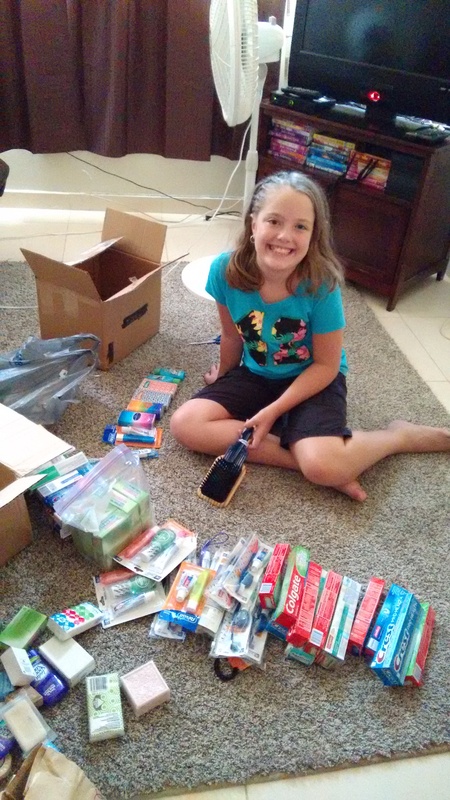 We gave toothbrushes, toothpaste, shampoo, soap, etc. VERY COOL! 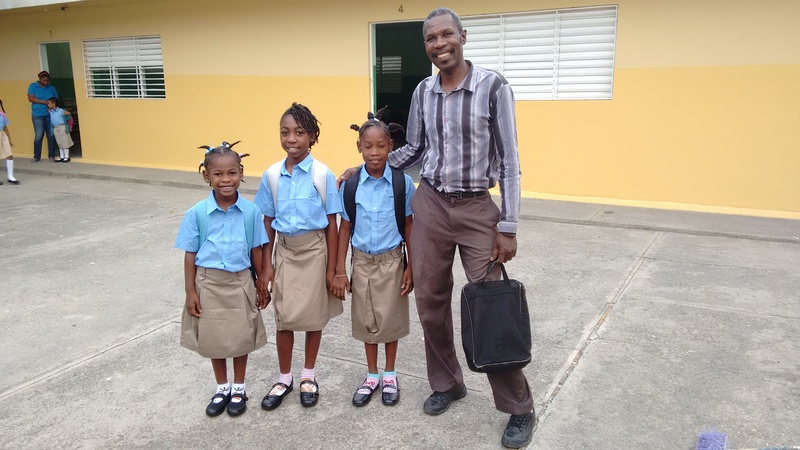 The only need that remains for the girls is that daddy Willie does not know how to do the girls hair for school every day and get them all dressed and off to school … cooking them breakfast, etc. So tomorrow morning, Lord willing, Jeff and I are going to interview a girl that is willing to go in the morning to get the girls off to school. Of course, she needs to be paid so we are trying to work through the details of all that and see how much we will need to pay her. So our latest need is get funding for care of the girls in the morning and possible after school if Willie has a job and is not home. This would NOT have been possible without you guys catching the vision, seeing the need, listening to the Lord calling, and most of all GIVING!! First day of school!!! Eating some awesome ice cream!! I could just eat them up, couldn’t you? So precious!! So honored to be in the Lord’s service!!! This entry was posted in Uncategorized on August 25, 2015 by wetransform365. Hey!! We have so much to be thankful for! God has truly blessed the ministry in so many ways. Have ya’ll been able to follow us on Facebook? We have been posting pictures very frequently of all our happenings. Most of the pics and comments are either on Jeff or my page. Jeff Jones or Jill Brothers Jones. I know I blogged shortly after we got here, but so much has already transpired that I’m behind again. I really have to get into a routine of posting every week. I probably could post more often than that, but I’m working on it. Ya’ll bear with me! I probably would think that my posts are so inadequate if I really knew who all was reading my posts. I actually try to do my best and not think about the audience, but just write as if I’m having a personal conversation with one of you in our living room. This makes me feel a lot more at ease when I write down thoughts and share about our ministry. I hope ya’ll are able to enjoy that approach. Lol! I’m going to give ya’ll the run down in bullet point form I think this time! Otherwise, this post could go on forever!! – We have been getting setlled in here! Loving it!! We love the home that God so graciously provided for us. We are house sitting for another missionary here! Our home is wonderful! We are so thankful that we could step into a fully furnished home with everything we need other than our clothes so that we can take time to find our own home to rent and furnish. – We have been looking for furniture. There is another missionary family that is relocating to Bolivia from the DR and are selling their stuff. We have purchased 8 items from them that include a stove, washer, three ceiling fans, toaster, coffee pot, and microwave. We also spent this week looking for other pieces of furniture. We still have a ways to go, but little by little! – Go into 3 Haitian/Dominican Barrios that our feeding center reaches out to and pass out invitations to come to the feeding center, play soccer and games with the kids, paint finger/toe nails, hand out gospel tracts, tell kids about the story of Jesus, have an on the spot medical clinic fixing boo boos, and giving and showing love to over 150 kids in one day. We had one child, Emilee, trust Jesus on this day. – Serve in a Batey which is a predominently Haitian community again showing the love of Jesus, handing out wordless bracelets and sharing the plan of salvation, picking up and hugging on kids that did not even know where their parents were … the neighbors didn’t know either … and giving lots of hugs. We changed dirty diapers and purchased more clean ones. We performed an “outpatient” surgery … little girl with skin on a cut that needed to be removed, doctored, and bandaged up. We had a line of boo boos that day to mend and lots of hugs to give. We played games, painted nails, gave out water and candy. The best part was knowing we had the answer to share with them on the ONE who will always love them and care for them and knowing that the Jones family is here to stay and care for these kids. So excited about that!! – Show the team a bit of the countryside, beach, and mountains in the Dominican. Teaching them about life here and showing them the absolute beauty of the country alongside the desperate needs of the people. – Paint the entire Haitian church that we partner with. This is where we hold the feeding center program. It turned out wonderful!! So glad to be able to get the church looking good. Not only will the church be painted, but the roof repaired so that it doesn’t leak when it rains, cement work and patching done, ceiling fixed, and cement stairs put in. Now that’s a good day!! – Fed around 300 kids at the feeding program! This is an all time record. We ran out of room to house the kids and ran out of food to feed them. We had to run to the colmado and buy crackers, chips, cookies, etc to feed some of the boys who didn’t get a plate of food. A fight broke out amongst the boys while passing out drinks due to not passing them out quick enough, although we were going as fast as we could. Lol! Next time we will have to feed in shifts. A good problem to have. Praise God for our team that put on the program for the kids, told them about Jesus … approx. 40-50 prayed to ask Jesus to save them. Another praise that Pastor Shane’s team of 34 from South Carolina came and did a prayer walk in the community during the feeding program. Praise God for this as we needed the prayer and strength to handle all these kids. – Jeff was invited to share about the Dominican and Transform365 on an Atlanta christian radio station 91.5. This was an amazing experience for Jeff and the ministry to be able to get the word out live on the air about what God has called our family to do and share about the Dominican Republic. Pics with Corrie, who was on the War Hill team, and was instrumental in getting Jeff on the air to share about the Dominican and Transform365. Jeff and I say all the time. We are so thankful to be here. We love being here in the Dominican Republic. We love what God has called us to do! I know I’ve still left some things out I’m sure, but definitely some really exciting things that God has brought about. We are seeing His hand move and so thankful for this! 2- a little girl around 5 that needs desperate attention medically. 3- a little girl named Amy in the batey that did not have a mom any where in site to care for her when we were there that day. She is just over a year old wondering the streets of the batey by herself. 5- Franscesca, who runs our feeding center program, has just been diagnosed with diabetes. She is around 30 years old and we’d like to get her checked out to make sure she is receiving the medical attention she needs. Love, hugs, and prayers for ya’ll, our team, who holds us up in prayer and financial support! We can’t make it without you!! This entry was posted in Uncategorized on July 18, 2015 by wetransform365.